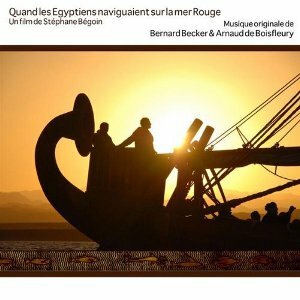 Quand Les Égyptiens Naviguaient Sur La Mer Rouge (When The Egyptians Sailed On The Red Sea) is a French TV documentary from 2009 that follows American archaeologist Cheryl Ward as she builds a replica Egyptian ship (from around 1500BC) and attempts to retrace the voyage of a fleet of five ships to the mysterious land of Punt, thus proving that the Egyptians were a seafaring people. Directed and co-written by Stéphane Bégoin, the documentary, in typical Discovery Channel style, is a mix of following present-day archaeologists as they build a picture of events during the reign of Queen Hatshepsut (whose time as Pharaoh encouraged the establishment of trade relations) and of dramatic reconstructions of the period. Scoring the documentary is French-born composer Bernard Becker (El Guerrero Sin Nombre) who provides an interesting and effective score that is made up of two different aspects. 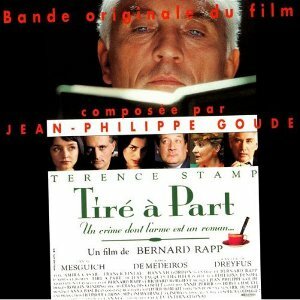 Tiré à Part is a French/English language film directed by Bernard Rapp and starring Terence Stamp (playing editor, Edward Lamb). Stamp’s character receives a manuscript from an old friend (played by French actor, Daniel Mesguich) which seems to contain details of an event from their past, details that convince Stamp that his friend may have been responsible for the subsequent suicide of his lover. The film follows Stamp’s character as he plots his revenge. The score is scored by Jean-Philippe Goude, a composer whose output has mainly been for television. He scores the movie with a small ensemble of instruments (mainly strings, piano, woodwinds), basing the score around a rhythmic piano theme. The opening track, “Cher Edward/Générique Début”, showcases the main theme on piano and, to be honest, summarises the score as a whole. The theme’s quite jaunty as a result of the tempo and rhythm Goude uses. Around this theme there’s interesting embellishments from woodwinds and strings that flit around the core piano lines. What then follows are variations on a theme: both in terms of restatements of what is heard in the first track, but with subtle variations of orchestration and tempo (e.g., “Edward Brûle Les Livres” and “Picnic au Parc”), and cues that take little sections of the theme and then plays with them. For example, “Edward Visite Le Bureau de Nicolas” repeats a small initial portion of the theme, raising it through the scale to add some edginess to the now-familiar music. From what I have seen of the film, Lieutenant Kijé is bizarre. Full of extremely exaggerated acting, I had hoped to watch the film in order to see how Prokofiev’s original music fits. But the film is so bizarre and the copy I saw (streaming on Google Video) is so bad that I gave up pretty quickly. So the suite version (premiered in 1937) will need to do for the time being. I believe the actual score isn’t available on CD and most people will have heard the symphonic suite that the composer put together that is based on the score. It’s difficult to look beyond the popular “Troika” when this score (and suite) is mentioned – the fourth movement of the suite, “Troika”, is frequently used in films and documentaries and usually features on “best of” classical music compilations. Most of the suite has been used in film, documentaries and popular music. 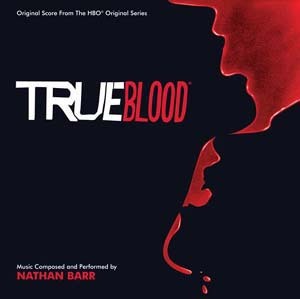 I like how Barr emphasises the cello in his score for True Blood. This track has a definite hymn-like feel to it – I suppose to highlight the fervent religious streak in Tara’s mother’s character. 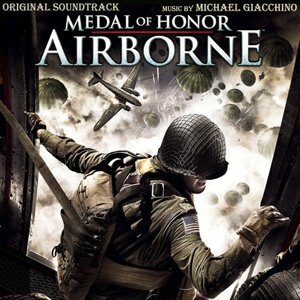 The little hints of the Medal of Honor theme – before it is heard in full – teases the listener at the beginning of this cue. Atypical of what you would expect for an end titles track (usually it’s grand statements of themes from the outset) this is much more restrained in tone: respectful rather than celebratory. 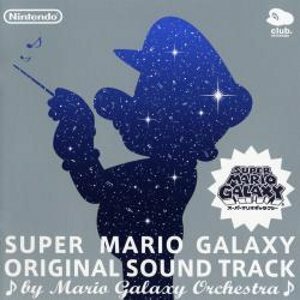 One of my favourite game score themes. Credit needs to be given at the outset to Jim Lochner and his FilmScore ClickTrack piece “9 On The 9th” from November 2010. On that day he selected nine favourite foreign film scores and at number one of his list was Mikhail Ziv’s score to Ballad of A Soldier. Both Grigori Chukhrai’s 1959 film and Mikhail Ziv as a film composer were entirely new to me, but after doing a bit of research and following the links Jim provided find Ziv’s music, I am now writing this review echoing his original high recommendation. 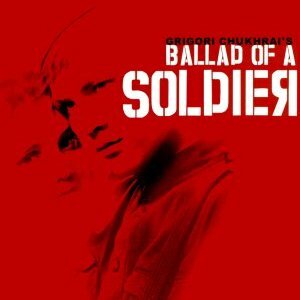 Ballad of A Soldier is a 1959 award-winning Soviet film set during World War II – but is not really a war film. At its heart, it is a film of two love stories – 1) a story of the blossoming attraction between a soldier returning from the front and a stowaway he meets on a train on his journey home and 2) the love between a mother and her son (the soldier). Our accidental hero, rather than accepting a commendation for destroying some German tanks, asks for leave so that he can return home to see his mother (and fix the roof of her house). The film then follows his journey and the people he encounters along the way (including the pretty girl who he finds himself becoming increasingly attracted to). Russian composer Mikhail Ziv composes a score that ignores the usual war movie film score staples of being brass-heavy and full of marches. Ballad of A Soldier‘s score is one that is thematic and contains poignant and emotional music – in keeping with the director’s emphasis on the human stories of how war affects the ordinary person (as well as focusing on the foolishness of war). 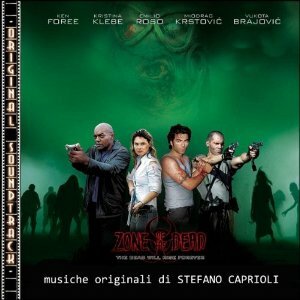 RTI/Made In Etaly is a label that regularly releases soundtracks from Italian TV productions. Several of these releases are worthy of reaching as wide an audience as possible (see my recent review of Marco Betta’s score for Maria Montessori: Una Vita Per I Bambini). 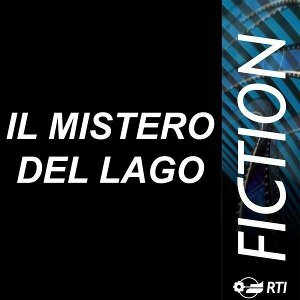 Il Mistero Del Lago (directed by Marco Serafini) is an Italian TV movie from 2009 in which a teacher is sent to a house located in the middle of a lake to teach two young orphans. You know that things are not going to go smoothly when the body of the orphans previous teacher is found on the shores of the lake. Based loosely on Henry James’ short novel, The Turn of The Screw, the drama is steeped in a mysterious atmosphere where visions, apparitions and shady pasts are much in evidence. Italian composer Alessandro Molinari composes a score, predominantly made up of strings and woodwinds, to add a layer of intrigue to the film without resorting too much to shock tactics.